The coach-athlete relationship can be an intense interconnection that ignites change in both parties. In the case of Jane Albright and her players this certainly holds true. Albright doesn’t necessarily set out to change her student-athletes, but it happens because of the ways in which she goes about building relationships. Relational leadership begins with a fundamental belief that people are more important than processes, strategies, and tactics. The best leaders truly care about people. And while it might be a cliché, it’s true that when people know they’re cared for, they willingly bring the best of their talents and gifts to a relationship. More than most of us realize, care and concern for others can make all the difference. Jane Albright is deeply committed to providing her players opportunities for personal growth and development. She walks alongside them, helping them attain their goals no matter what challenges emerge. Coach Albright deploys a simple model that serves to shape her coaching practice and the growth and development of her players. This simple model holds her accountable for coaching the whole person; it’s kind of a balancing mechanism to ensure she doesn’t overdevelop the athlete at the expense of the student or the person. This framework helps Albright articulate a set of values for the team. 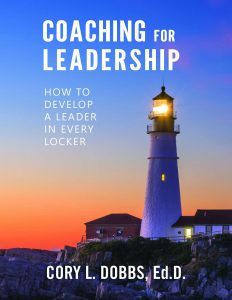 It provides a template for talking through life events and encourages her coaching staff and players to apply the values in their choices and actions. And finally, this straightforward model serves as a guide for Albright in critical reflection of the values to make sure they are appropriate for the team and the individual. Building a high performance team is only possible with committed partnerships—an extraordinary relationship in which leaders and followers commit to the success of each other. When this happens both leader and followers understand that the team’s performance requires deep commitment to shared purpose and goals, yet, done so while honoring the uniqueness of each individual player. Leaders make a real difference in this world when they are willing to build vibrant and positive relationships. An imperative of team leadership is that the leader has to set the tone for the quality of relationships. If she doesn’t care about the quality or well-being of relationships, everybody catches on quickly. But if she cares deeply, everybody is quick to recognize that too. “What she was taught growing up shaped her thoughts on right and wrong. I learned that how I define ethical behavior is not how someone else might; that not everyone was brought up under the same ethics. Leading by and with purposeful values is a practical and philosophical imperative because it builds the type of trust that builds loyalty that builds enduring relationships. A leader must be able to anticipate, recognize and empathize with the varied wants and needs of her team members. This only happens when trust is the foundation of relationships. It takes great courage to invest one’s self in understanding others. But when you do trust emerges. Teams succeed and sustain success when trust flourishes. In his book, Trust, political scientist, Francis Fukymaya says that trust functions as a form of social glue binding people and organizations together. But that trust does not stem from authority, rather from one’s words and actions. John Wooden was the ultimate example of leading by one’s words and actions. Coach Wooden modeled this in every relationship. To build a great team you need to invite people who are very different from you—skills, abilities, perspectives—to contribute and help grow the team members and develop the team. And in Coach Albright’s world she willingly extends trust to those in support positions, allowing different voices and perspectives to serve her team. You have to willingly look in the mirror and rigorously examine your motives for asking others to follow. Often, the mirror is another person. Through relational dialogue we open ourselves to understanding others, and being understood by others. “I help my players understand that I don’t get to write ‘your’ story for you, you do. You may not value things that I do, and likewise I may not value things you do. As individuals writing their own story they don’t have to agree with each other on personal things, but they have to agree to respect one another. In today’s workplace teams are a fundamental way of organizing people to get things done. Sports teams, like businesses and other types of organizations, orient their activities to pursue or achieve a stated purpose. The primary difference is that businesses direct their activities toward earning money, while a sports team directs its activities toward winning contests. Albright finds purpose in serving her players, helping them mature and grow as a person. A traditional way of thinking about coaching is to emphasize the importance of achieving results. Results matter. But how you achieve those results is the focus of Albright’s coaching. When you have a purpose, and that purpose is clear, then everyone is more likely to connect emotionally and socially. Purpose provides an emotional and motivational connection that is often overlooked, yet it has enormous influence on the team experience. The bottom line is motivation comes from working with people we care about and doing things we’re passionate about. Legendary football coach Bill Walsh, attributed a good deal of his success to what he called the “Standards of Performance.” Walsh said, “It was a way of doing things, a leadership philosophy that has as much to do with core values, principles, and ideals as with blocking, tackling, and passing.” Walsh considered these “organizational ethics” to be crucial to a team’s ongoing success. Leaders are stewards. Great leaders are great stewards. Stewardship is based on a simple but profound idea: that people are responsible for the world and should take care of it. Coach Albright is a steward. She has a robust conviction for helping take others to the limits of their potential. In order to perform stewardship you have to help others see the value of taking care of their world. As the leader you have to help others understand what the team is trying to accomplish, why we’re here, and where we’re going. That’s not always as easy as it sounds. Every generation has its share of social, political, religious, and business wrong doings—events of ethical lapses that lead to a national wake-up-call. That said, the pervasiveness of reckless unethical behavior in recent years has been astounding. Study after study reveals the sad fact that increasingly people distrust organizations, the government, leaders, and people in general. The world today is one in which distrust dominates and dishonorable dealings and public scandals are the norm. No doubt about it, leaders today are on the hot seat. More and more we are looking for leaders to provide moral and ethical courage—to stand for positive values, fulfill commitments, and demonstrate moral leadership. We want, and desperately need, leaders that can create an ethical climate by prioritizing transparency and accountability. People will flock to leaders that are authentic and ethical, that live up to their values and lead with a bent on serving others. Coach Jane Albright is such a leader. She is comfortable setting the example she would like to see her players live by. It is virtually impossible to earn trust if you aren’t honest. In fact, research consistently shows that followers expect honesty from their leaders. Leadership writers James Kouzes and Barry Posner write, “If people are going into battle or into the boardroom, they first want to assure themselves that the person is worthy of their trust.” So, if you show people through your words and actions that you have their best interests at heart, they just might trust you. The truth is that what goes on at the top trickles down through the organization. Earning trust, and this is no little thing, requires being truthful—in all aspects of your actions and communications. The leader must set the moral tone. “I strive to tell the truth to my players. I try to do it in a way that they will accept it. I do have to be truthful and that means saying things they might not want to hear, but doing it in a way that they will accept it. It may be a lot easier to sugar coat things because none of us like conflict, but they expect me to be truthful. Jane Albright is one of a select group of coaches to reach the 500 win mark as a collegiate head coach. She began her collegiate coaching career as a graduate assistant to Pat Summitt at the University of Tennessee from 1981-83. She assisted with UT’s first NCAA Final Four team in 1982. After Tennessee, she spent one season as an assistant coach at the University of Cincinnati in 1983-84 before earning her first opportunity as a head coach at Northern Illinois. Albright went on to become the winningest coach in Northern Illinois history with a 188-110 record in 10 years from 1984-94, Albright’s Huskie squads turned in five 20-win seasons and four NCAA Tournament bids. Northern Illinois also won three conference championships and had three runner-up finishes during her tenure. Albright had tremendous success in turning around the program at the University of Wisconsin. She left the University of Wisconsin as the winningest coach in Badger history with a 161-107 record (.600) from 1994-2003, Albright led Wisconsin to seven postseason appearances in nine seasons, including five trips to the NCAA Tournament. Her 1999 team was the runner-up in the Women’s National Invitation Tournament, while the Badgers won the WNIT in 2000. After leaving Wisconsin, Albright coached the Shockers of Wichita State University for five seasons.